 Basin Aviation has offered a full-service maintenance facility staffed by FAA licensed technicians specializing in maintenance, repair and inspection for over 35 years. Our full time technicians have many years of general aviation maintenance experience to provide the know-how and ability of keeping your aircraft in top condition. We maintain current service information and equipment for a wide variety of aircraft makes and models from singles to turboprops. Our technicians frequently attend industry schools for training on various aircraft models and systems. The aircraft that we own and operate are maintained by us in accordance with strict Federal Aviation Administration part 135 regulations and standards. This same level of workmanship is used in maintaining our customers' aircraft. We maintain a good working relationship with the FAA and our customer base and would like the opportunity to develop that relationship with you. The Parts Department is fully stocked with a wide range of approved parts and we maintain a broad base of vendors allowing us to supply most any item that you might need. We're connected to world-wide aircraft parts locator system for those hard-to-find parts. We carry all major lines such as Champion, Teledyne battery and ignition products, Parker-Hannifin, General Electric and many more. We also stock a large number of Textron Lycoming and Teledyne Continental engine parts and accessories and we are a RAM parts dealer. We're an authorized dealer for several manufacturers including David Clark, S-Tec, Mid-Continent Instruments and many others.